Is organic or natural baby food better? Organic foods are usually grown without conventional pesticides, chemical fertilizers or growth hormones. 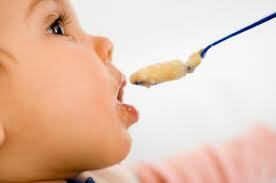 Feeding your baby organic baby food might limit his or her exposure to these substances. However, according to the Academy of Nutrition and Dietetics (AND) organic foods may not be healthier or safer than other kinds of foods. Residues of pesticides, fertilizers and other products on organic and nonorganic foods don’t exceed government safety thresholds. Natural foods are as close as possible to their original state. No artificial ingredients or preservatives are added to them. Examples: brown rice, almonds, certain apple juices. Natural foods may or may not be organic. The U.S. Department of Agriculture (USDA) provides organic seals for products that contain various percentages of organic ingredients – but the USDA makes no claims or guarantees that organic foods are safer or more nutritious than are nonorganic foods. Some parents prefer organic baby food because it’s environmentally friendly. Others feel that organic baby food simply tastes better. What’s most important, however, is a balanced diet. Offering your child healthy foods from the beginning – whether they are organic or not – will set the stage for a lifetime of healthy eating. • Buy vegetables and fruits when they’re in season. This will help ensure the best quality. For example, buy apples in the fall and berries and tomatoes in the summer. This also saves on fuel to transport produce from far away. • Read labels carefully. Organic may not mean healthy. Some organic foods are high in fat, sugar or salt. 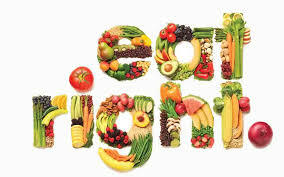 • If you worry about pesticides, peel all fruits and vegetables. Trim the outer leaves of leafy vegetables like lettuce and cabbage. But remember, peeling may also reduce nutritional value. Pesticides are sometimes found in the fatty parts of food. So remove fat from meat and the skin from fish and poultry. Parents need to feed the babies with healthy foods. If organic foods are available and you can afford them, great; give them a try. But don’t sacrifice good nutrition for the organic label.